January 14, 2015. Materialise NV (NASDAQ: MTLS), a leading provider of Additive Manufacturing software and of sophisticated 3D printing solutions in the medical and industrial markets, is proud that their partnership with FELIXrobotics BV has led to a successful builder, software which will now be bundled with every FELIX FDM (fused deposition modeling) 3D printer. FELIX desktop 3D printers are ideal for consumers as they are producing high quality prints, reliable and are easy to calibrate and maintain. The Felix Builder, which combines Materialise’s Build Processor with a user-friendly front-end solution, makes printing easier than ever while still offering a wide range of settings. Using 3D printers is becoming easier by the day, thanks in part to software that acts similar to printer drivers for inkjet printing. By simplifying complicated functions through a straightforward user interface, the FELIX Builder, developed by Materialise, does just that for the FELIX 3.1 3D printers. By adjusting settings based on pre-set or custom-made profiles, users can go from STL file to watching their design print before their eyes in one all-inclusive program. This gives unprecedented control over their prints and a streamlined printing process. 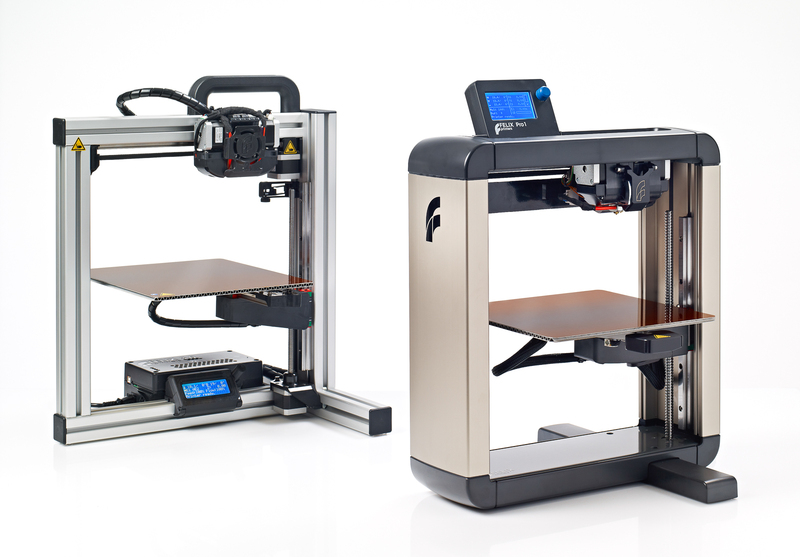 The Pro 1 is the first 3D printer in the FELIX Professional Series. The Pro 1 loaded with intelligent features that will make 3D printing easier than ever! Mechanical engineer Guillaume Feliksdal founded FELIXprinters after he encountered his first 3D printer and was unsatisfied with its performance. With a mission to improve both pre-assembled and assembly-required printers, FELIXprinters soon improved the current state of 3D desktop printers. FELIX 3.0 printers are ideal for office, educational and industrial environments as they suit the requirements for most small- to medium-sized projects. Fitting in line with FELIXrobotics’s mission, the Felix Builder makes the printers even easier to create high-quality prints, bringing 3D printing to a wider range of users. Choose the optional dual extrusion. Print your objects with two colours or with special water soluble support material.